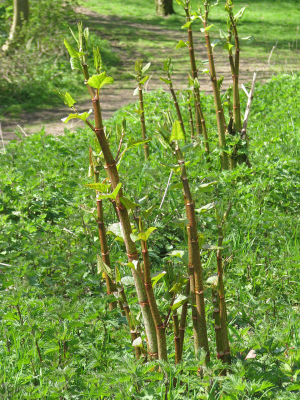 Observation - Japanese Knotweed - UK and Ireland. Description: Sprouting up at a fearsome rate. Sprouting up at a fearsome rate.